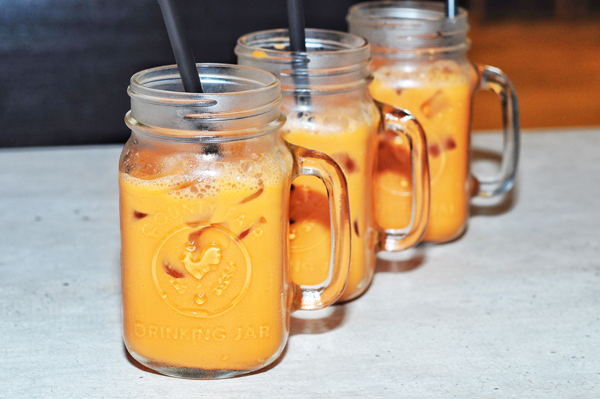 Thai Milk Tea had become a common drink in Singapore and not just limited to dining in Thai food restaurants. 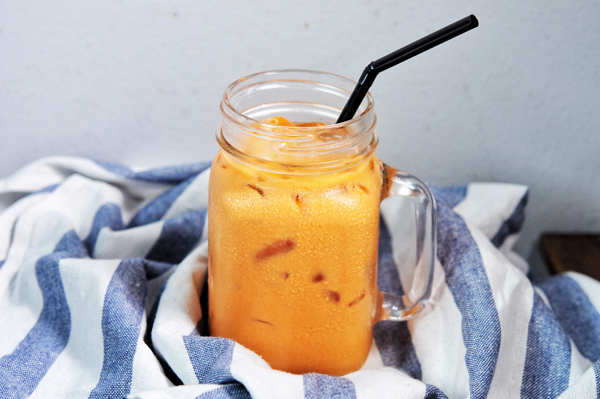 We noticed an upcoming surge of cafes offering Iced Thai Milk Tea too, for dining in and for takeaway. Thai Milk Tea could be a meal on its own, with the carnation milk/ condensed milk added for sweetening (Calories!?!?) and it had slowly replaced people’s craving for bubble milk tea. 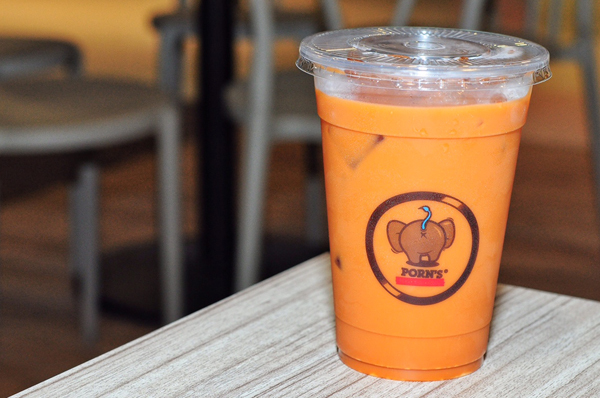 We believed that it would be here to stay and we hunted down the popular thai milk tea in Singapore. The closest Thai version Milk Tea you can ever get in Singapore! The Thai version is normally much sweeter as condensed milk was used. A cup of Thai Milk tea comes with 2 toppings will cost $5.80 when you dine in and it reminded me of pao-pao-cha (Bubble Milk tea). Opt for takeaway at $3 (half the price of dining in) since it’s more worth it. PS. The bottled version is no longer available. 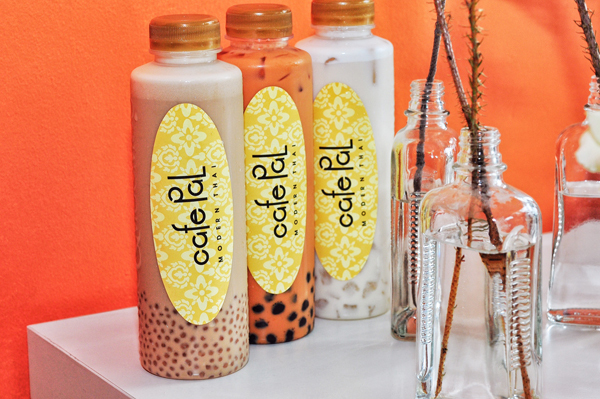 Instead, they used disposable plastic cup similar to other bubble tea shops. I missed their cute little bottles though. The Thai Milk Tea we get over here is from Number One Brand, the one you see everywhere in Bangkok with a red and white packaging. If you fancy a stronger tea leave scent cup, this will be your cup of tea. 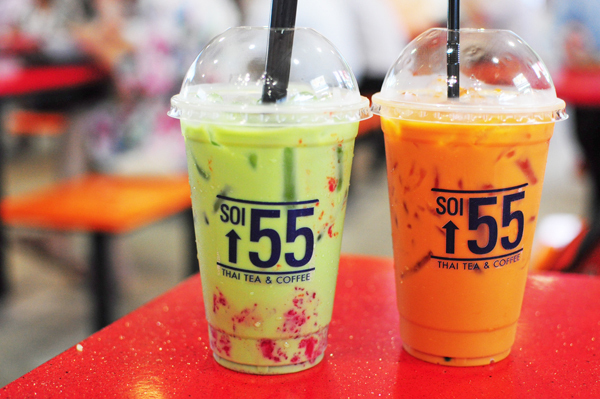 Available in both Thai Milk Tea and Gold Version (with extra tea leaves), both are priced at $2.50 (same price). Avoid the lunch crowd if possible, the queue can be pretty long even though the service is fast. Opened by the folks behind LoavesMe at SMU, Cha Thai is their newest venture in the CBD area, offering quality Thai Food which may not be necessary cheap. 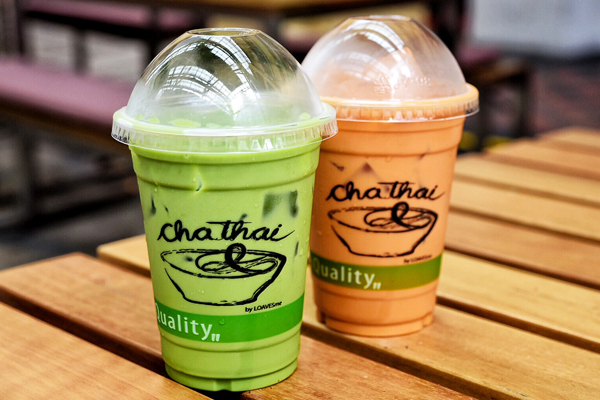 Their Thai Milk Tea comes in $3.90 per cup which may be more expensive than their competitors nearby. Texture is rich and smooth and we loved the green milk tea more. Opened by the people behind $1 Thai Boat Noodle at Bedok Point, several thai staff in pink could be seen working at the stall. Attractive uniform that sets a personal branding, we loved their Green Milk Thai Iced tea ($2.80) that comes in 2 level of sweetness. Their Thai Milk Tea may not taste as rich as smooth though. No Thai Ice Tea!?! They only have the Thai Ice Rose Milk Tea ($4.80) and the Thai Ice Tea Freeze ($6.80) instead. Not the same though when rose syrup is added to sweeten the entire drink. It may be refreshing but the tea leaves taste was masked by the sugary syrup. Soi 55 started off as a pop-up stall for events, and eventually settled down at Golden Shoe Food Centre. It’s a popular option for office workers nearby. Imagine eating a bowl of hot laksa at a food centre with no air con… This cup of shiokness is definitely going to attract them. 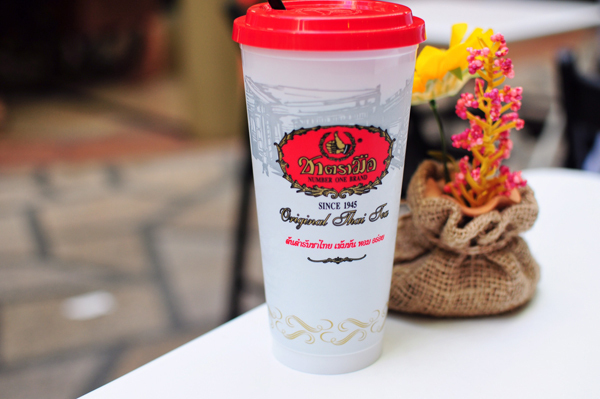 Their Thai Milk Tea is less rich and milky, less sweet and less tea leaves scent, but still more than decent. Noodle Café first opened at Golden Mile Complex Basement, note, it’s at the basement and took us quite some time to find the way there. It’s not located in any conspicuous site and the surrounding can be a little dark. Fortunately, they opened a 2nd outlet shortly at Sim Lim Square that was so much better. More natural lighting and convenient. 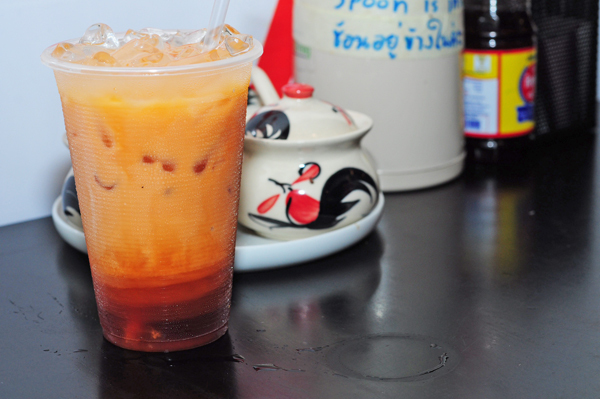 If you want a taste of Thailand, the Thai Milk Tea can be pretty sweet (Isn’t that Thai’s taste?). 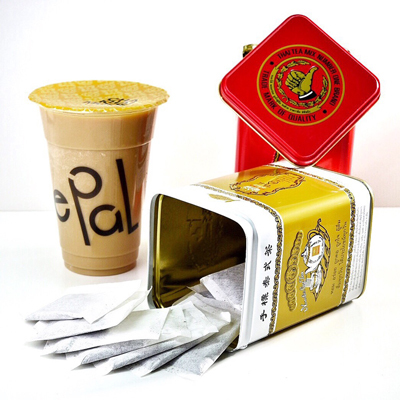 The Milk Tea and tea leaves scent may not be as rich, but the sweetness is there. The name of this café makes you wonder if you are playing Monopoly. But on and off, you will see property agents dropping by or people who are interested in getting a property dining there. Not really Thai- inspired, their Thai Milk Tea wasn’t as what we had expected. 23 Jumpin’s in house Thai Milk tea was made from the Number One Brand. Not too sweet, not too rich. Actor Pornsak’s newest F&B venture at Kitchener Complex served various Thai Boat Noodles. Interesting flavours include Thai Pink Noodles (due to fermented soybean paste). 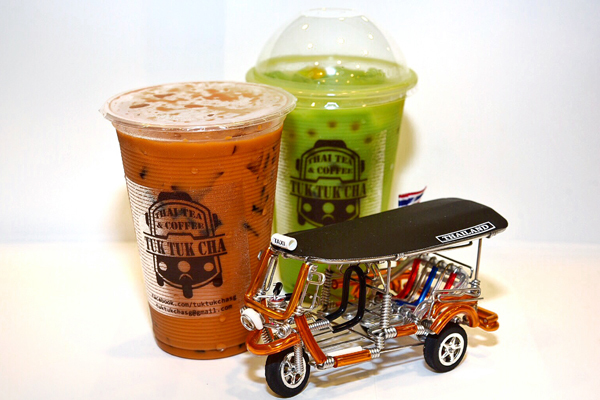 And don’t forget to quench your thirst with their Thai Milk Tea after eating their Tom Yum Noodle. 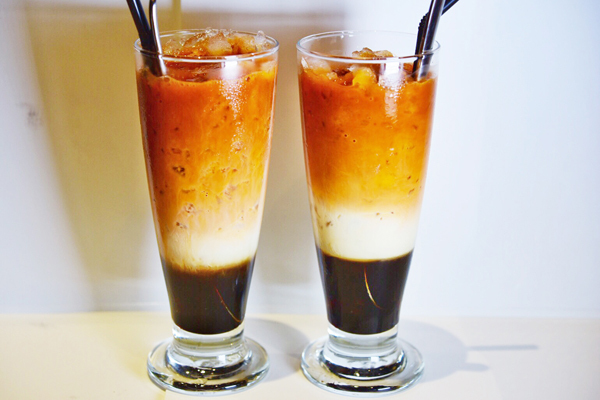 Their Thai Milk Tea is also sweeter and will definitely satisfy people with sweet tooth. 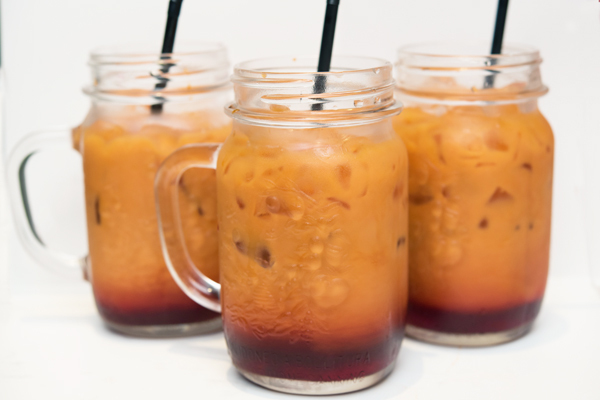 ParaThai added caramel syrup to the Thai Ice Tea. Stir it before drinking and you will get the sugar rush. The thai ice tea portion was strong and distinct on its own, and we preferred the portion without the caramel taste.